Do you have to trace the valves often? Not very often. Sometimes a customer will need parts and will send the serial number or they might have lost the Material Test Results and will send the serial number which allows us to look it up. Why is it important to be able to trace a valve? It is important so you can trace the history of the valve from the time it was manufactured and all the components to when it was shipped, received and sold. We can trace the whole history. If we did not have valve traceability then It would be impossible to know whether the valves are manufacturerd to the right standard and are able to sustain the pressure that is needed. This entry was posted in API 6D Valves, Automated valves, Ball Valves, Flanged ball Valves, Full Port Ball Valves, High Pressure Ball Valves, Midstream, Midstream Oil and Gas, NACE valves, Oil and Gas, Oil and Gas production, Pipeline Ball Valves, Texas Oil and Gas, Valve Manufacturer and tagged Double block and bleed valves, Trunnion Ball Valves on November 30, 2018 by gvcadmin. This entry was posted in API 6D Valves, Flanged ball Valves, High Pressure Ball Valves and tagged Double block and bleed valves, Pipeline Ball Valves, Trunnion Ball Valves, Welded end Ball Valves on August 29, 2018 by gvcadmin. 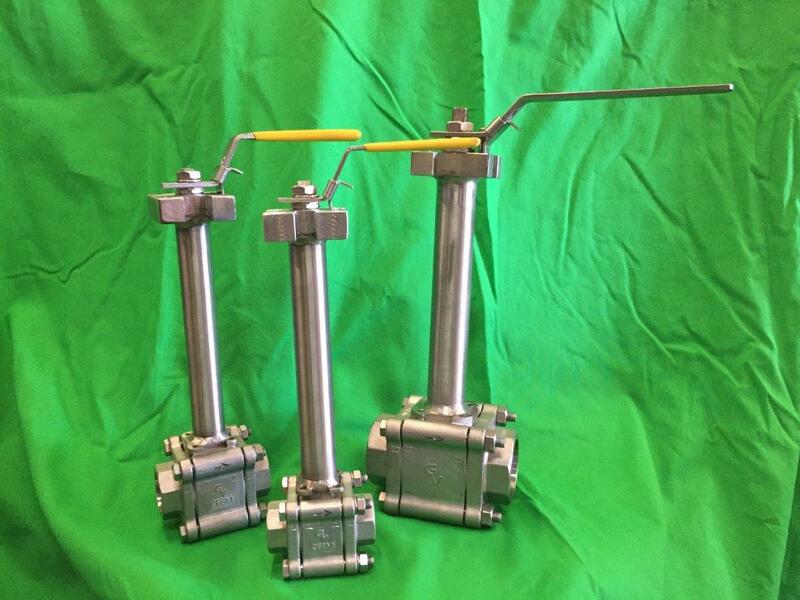 Many times a customer will call and ask if we can offer any valves for cryogenic service. Cryogenic meaning very low temperatures. 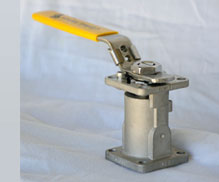 We can happily say that we do carry a few valves that are made for such services. 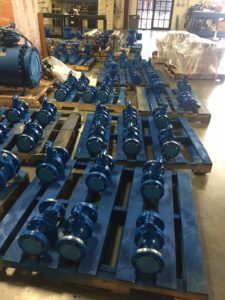 Companies that work with LNG (Liquified Natural Gas), oxygen, helium and such are the most common clients that we have that need these specific valves. What makes cryogenic valves different than standard valves? This is possibly one of those most frequent questions asked, and the answer has to do with the temperature. 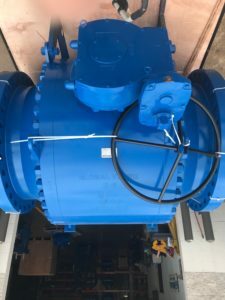 A cryogenic ball valve can fully work in temperatures as low as -320 degrees Fahrenheit and at pressure ratings as high as 750 psi. GVC Valves series FS525, FS600, YFS and our 790 are all compatible with cryogenic conditions. To learn more please visit our website. 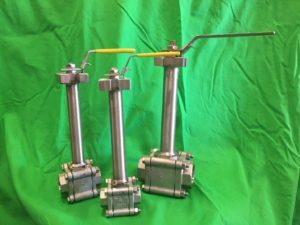 This entry was posted in Ball Valves, Flanged ball Valves and tagged Cryogenic Ball Valves, Flanged Ball Valves on June 28, 2018 by gvcadmin. – What is the media? – What is the temperature? – What is the pressure? – Is it an open or closed position? From there, the manufacturer will have a better idea of what the end user is really looking for. Many times, the manufacturer will find an error and will need more information to provide the best valve. – Ensure the valve, actuation and valve control accessories bill of materials matches the end user’s specification sheet. Once the valve is “in line”, “stroking the valves and applying general-purpose lubrication at least once a month provides longer-term benefits in the functioning of in line valves”. 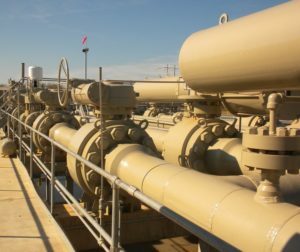 “The incidence of leaking valves immediately following installation occurs too often, with the blame placed on the valve and its manufacture instead of the end user’s misapplication.” Making sure to follow policy and procedure and taking preventative steps will help get the right valve for the right job without any problems. 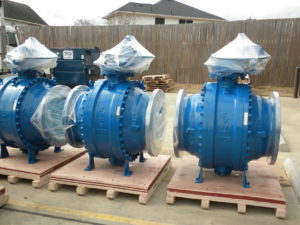 This entry was posted in Automated valves, Double block and bleed valves, Flanged ball Valves, Full port valves, NACE valves, Pipeline Ball Valves, Pipeline Valves, Trunnion mounted ball valves and tagged API 6D Valves, Ball Valves Houston, Double block and bleed valves, Full Port Ball Valves, Pipeline Vall Valves, Reduced Port Ball Valves, Trunnion Ball Valves on October 10, 2016 by gvcadmin. Theory: Cold weather dictates a different type of lubricant to avoid seizure and promote proper function inside the gear housing. In a case study where non-cold rated grease is applied to a valve that is heading to Wyoming, where the weather can be frigid seven months out of the year; the likelihood of the valve seizing becomes increased and the average lifespan potential will decrease. Aftermath: It is a wise decision to consider the environment that your purchased valve will be applied to. With Global Valve and Controls, these are questions we ask our customers to protect their investment in order to increase the longevity of their valve; like a vehicle, it is important to use the recommended lubrications and oils to ensure proper performance. Valves are the same way. Moving parts need the correct lubrication to operate proficiently. Fact: Materials such as grease or oil, are affected greatly by weather, hot and cold. However, lubricants can be engineered to withstand various environments by being structured to hold their viscosity. This entry was posted in API 6D Valves, Check Valves, Double block and bleed valves, Flanged ball Valves, Flanged Valves, Full port valves, NACE valves, Pipeline Ball Valves, Pipeline Valves, Threaded Ball Valves and tagged API 6D Ball Valves, GLOBALValveAndControls on March 24, 2016 by gvcadmin. Let’s take a look at the CFS valves. What are they? What are they used for? What sizes are available, materials, I promise all your questions will be answered right here, and if they are not, well now you know who to contact. 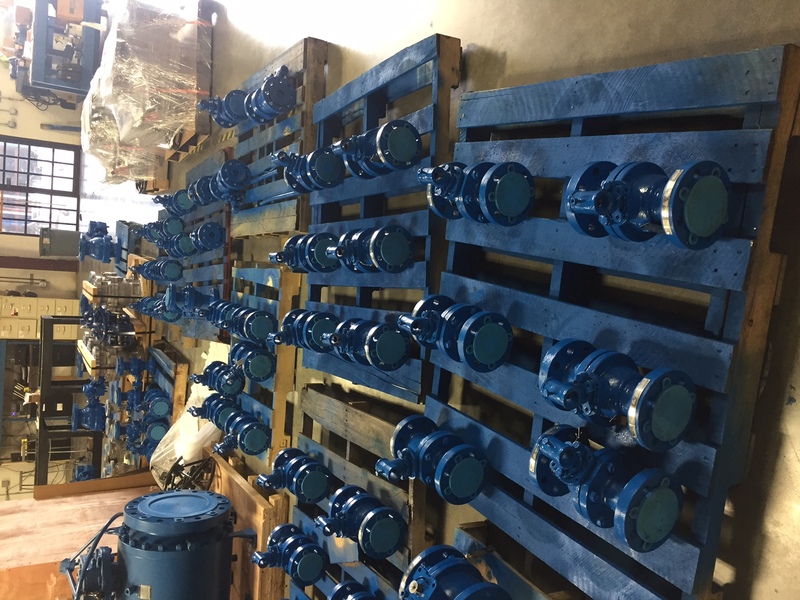 This entry was posted in Flanged ball Valves, Flanged Valves, Full port valves, NACE valves and tagged API 6D Valves, Ball Valves Houston, Fire Tested Ball Valves, Flanged Ball Valves, Floating Ball Valves Houston, high quality ball valves, NACE Ball Valves, RTJ Ball Valves on January 20, 2016 by gvcadmin. Global Valve and Controls strive to provide earth friendly options, especially the containment of fugitive emissions being released in the earth’s atmosphere. Over 44% of a plant’s expense, is due to leaking valves and the replacement of them because of old technology. GVC has a new technology to lower this expense by a substanial decreased cost of ownership. Increases the longevity of the ball valve. A standard increased life expectancy of a leaking ball valve, with the GVC MCB application, is an extra three years. No down time due to the shut down of a plant or pipeline because of the removal of a leaking valve. Within 10 mins, the MCB is installed with no tools other than a wrench is necessary. If you are interested in an instructional video or a lunch and learn instructional demonstration, please call Global Valve and Controls at 1-866-965-8GVC (482) or email Lparker@gvcintl.com. This entry was posted in Automated valves, Flanged ball Valves and tagged Flanged Ball Valves, Flow Control Accessories, Media Containment Bonnet, Threaded Ball Valves on September 23, 2013 by gvcadmin.